In recent years, a number of U.S. Forts have been discovered by archaeologists. Let’s explore some of their history and the lessons they can share with us. An excavation trench at Fort San Juan exposing a cross-section of the recently discovered moat area. 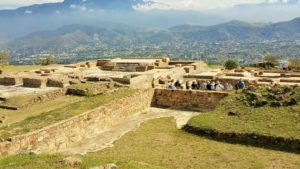 What: Earliest European fort in the interior of present-day U.S. It was the first and largest of six garrisons established by Pardo in an attempt to colonize the region. This is so far the only one that has been discovered. Fun Fact: Despite being unsure of the fort’s exact location at the time, in 2008, the State of North Carolina placed a highway historical marker commemorating the fort in Morganton, North Carolina. Excavation work and educational outreach for the site is supported by the nonprofit Exploring Joara Foundation. 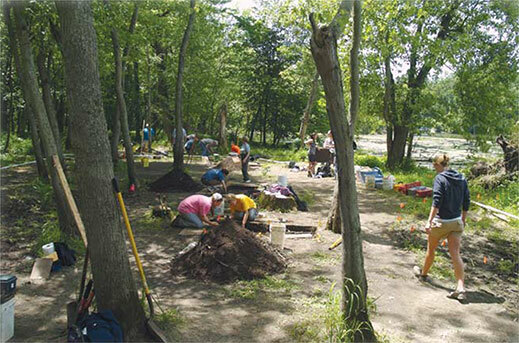 To learn more, check out “Earliest European Settlement in Interior U.S. Found” in Vol. 17 No. 3 of American Archaeology magazine. 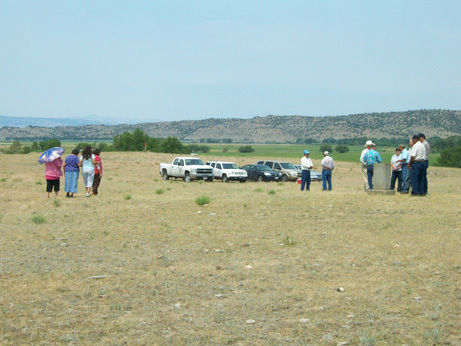 A group of Crow elders who came to visit the site at Fort Parker, which is still very significant to the Crow Nation. Marsha Fulton of The Extreme History Project holds the right to this photo. Fort Parker represents the forced transition of the Crow tribe from traditional hunting lifestyle to that of agriculture and capitalism. 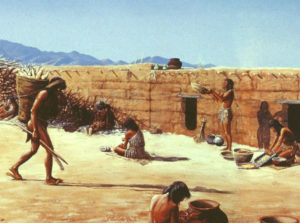 The fort’s purpose was to distribute annuities to the Crow and give them the knowledge and resources to survive off the land using sedentary ranching techniques. Unfortunately the landscape was not ideal for agriculture, and frigid temperatures and harsh winds often destroyed any efforts of creating sustainable locally-grown food sources. For the Crow Nation, the site of Fort Parker represents a memory of the stories and histories of their struggle to adapt to the U.S. Government’s attempts to control and repress native traditions and lifestyles. 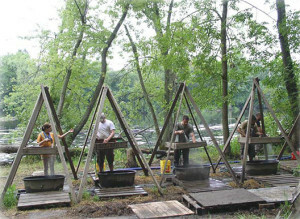 Last year, we provided a way to crowdfund this site with DigVentures to help preserve this site. For more information, please read “Inviting the World to Share in the Preservation of Fort Parker, Montana. Fun Fact: Fort Parker is the first of 3 Crow Indian Agencies. After its operation from 1869–1875, it moved eastward in 1875 to Rosebud Creek Absarokee, Montana and eventually relocated to its present and final location at Crow Agency (A Census-designated place in Big Horn County) in 1884. To learn more, check out “A Time of Change and Hardship” in Vol. 16 No. 3 of American Archaeology magazine, Fort Parker History, and The Extreme History Project. 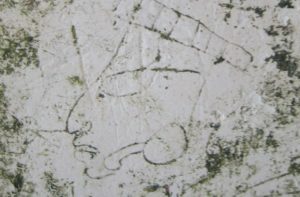 Who: George Croghan, an Irish tradesman with the Native Americans at the time, was commissioned to construct three forts – the first of which being Fort Shirley. What: A fortification built on an old trading post by the hands of about 30 British settlers, about 50 Mingo Seneca warriors, and possibly indentured servants. Where: About 160 miles east of Pittsburgh, Pennsylvania. The fort was intended to strengthen the British frontier west of the Susquehanna River. In 2009, Jonathan Burns established a field school to begin the hunt for Fort Shirley’s location. They began by scouring through documents and maps held by a local engineering company. This search yielded a tattered map of the fort and surrounding area dated Nov. 25, 1761. After some brilliant conversions from the map’s archaic measurement units, perches, into feet, the team could then go into the field to search for evidence of the map’s accuracy. While the next step in the investigations did lead to artifacts of scratch-blue, salt-glazed pottery sherds, musket balls, and copper ornaments worn by Native Americans, Burns would not fully be satisfied until he cover uncover the fort’s palisade – the outer perimeter that would have formed the first line of defense. The east palisade wall was definitively identified after the team chased a series of dark stains in the soil. They determined that the posts would have been over 100-feet long and completely straight. Subsequent field schools determined the location of each of the remaining perimeter walls, and during this past summer (2013) they continued their search for the southwest corner bastion. Fun Fact: One of the most intriguing artifacts found at the site was a Muslim charm the size of a fingernail. One interpretation from a local historian is that the charm may have been worn by an indentured servant from the Caribbean or Africa. The series of excavations at Fort St. Joseph have led to another rare discovery of the exact location of a piece of our nation’s colonial history. The fort was abandoned in 1781 and fell into ruins, eventually disappearing altogether. However, its history was never completely forgotten, and historians and archaeologists have spent decades searching for the fort’s remains. Enter Nassaney and his team, who have successfully identified the location of Fort St. Joseph after years of archaeological field schools and deep historical research. Over 100,000 artifacts have been collected: musket balls, glass trade beads, shells, bones, ceramics, stone pipes, and more! 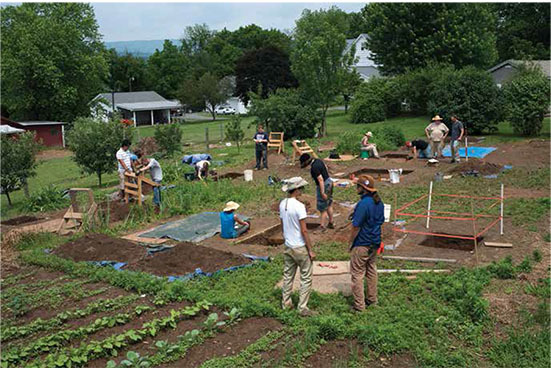 They have also successfully uncovered two wooden posts and the remains of foundation – a sure sign that they were finally atop the fort itself rather than a trash area or regions where remains of material culture had been washed down stream. 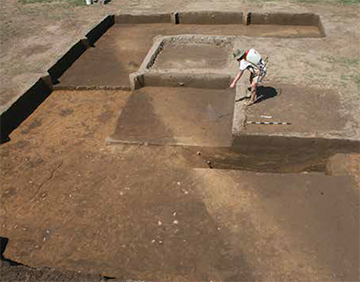 Discovery of the wall and foundation allow the researchers to estimate the size and orientation of the building. Faunal remains found at the site indicate that inhabitants of the fort preferred wild game contrary to the typical findings of French occupations’ preference for domesticated livestock. 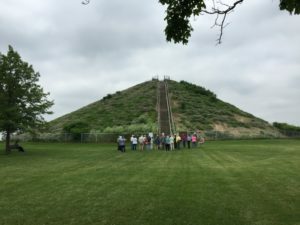 The ongoing project at Fort St. Joseph is beloved by many, and has allowed the opportunity for public archaeological outreach. The excavation crew generally consists of professionals, students, and volunteers and public partners, sponsors, and donors are always willing to assist when needed. For several years, Nassaney has held a media day inviting local press to the site and has recently created a media source himself – the Fort St. Joseph Post – which covers research and related activities. Fun Fact: In fall 2013, the Historical Society of Michigan presented a State History Award in Educational Programs to Dr. Michael S. Nassaney for his work on Fort St. Joseph. The State History Awards are the highest recognition given by the society. Documentaries: “The Search for Fort St. Joseph: Lessons in History, Culture and Scientific Methodology” (2004), “The Fort St. Joseph Project: Service and Learning in the Community” (2006), and “Making the Past Come Alive: Public Archaeology at Fort St. Joseph” (2008). 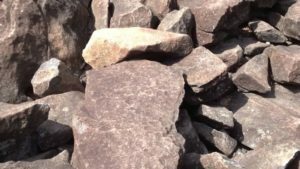 Articles: American Archaeology, “The Story of Fort St. Joseph”, by Michael Bawaya. Vol 15 No. 1, Spring 2011 p38-43; Encyclopedia of French Cultural Heritage in North America, “Reclaiming French Heritage at Fort St. Joseph in Niles, Michigan” by Nassaney, Michael S.
What: An obscure fort built by Wayne’s army to help secure their route from Fort Washington to the Battle of Fallen Timbers. In 1783 the Treaty of Paris transferred all the land east of the Mississippi River to America. The area was of course inhabited by American Indian tribes, and as American settlers began to move into the Ohio region, armed conflicts ensued. President Washington organized an army with Wayne at its command after two unsuccessful (for the military) tribal attacks. In 1794 Wayne led a third expedition against the confederacy of Midwestern tribes down the Ohio river to present day Cincinnati, then onward to the site of St. Clair’s defeat along the present-day border of Ohio and Indiana. 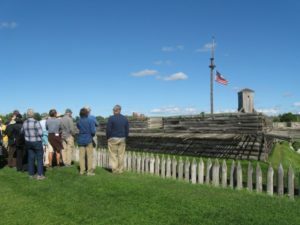 Fort Adams is a short-lived encampment for Wayne’s travels towards the Battle of Fallen Timbers, where the military defeated the native confederacy. Today, the fort has no remaining visual ruins. 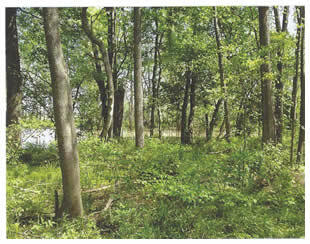 The Ohio Department of Natural Resources purchased 60 acres of the land to preserve its wetlands, and the Archaeological Conservancy purchased 20 acres of high ground that includes the area where the fort was located, in addition to the surrounding encampment site. Fun Fact: The fort was originally named Fort Randolph, and Wayne later renamed it Fort Adams after Vise-President John Adams. It was the first fort built in the Maumee River watershed. Five years after the Treaty of Guadalupe Hidalgo transferred the land now known as Southern Colorado from Mexico to the United States, the U.S. established its first permanent military fort in the San Luis Valley, an area already dotted with Hispanic settlements. 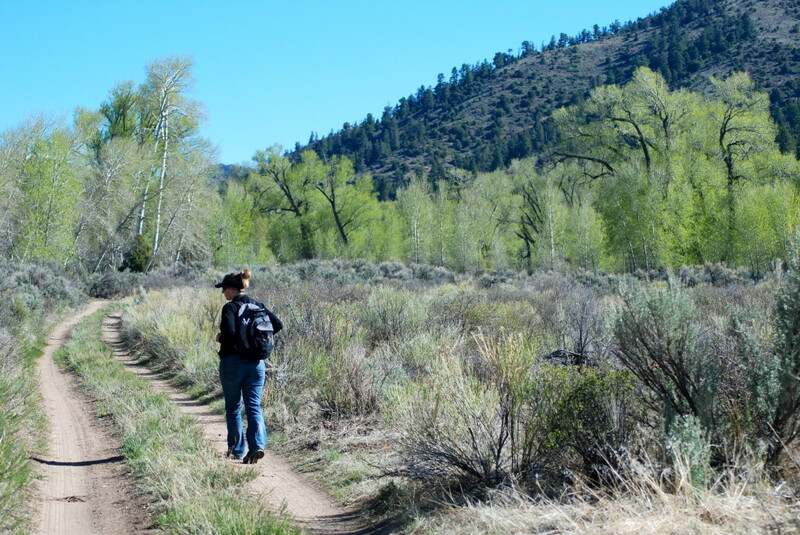 The San Luis Valley was relatively unsettled but was an area of conflict between Hispanic settlers from Mexico, Native Americans, and American settlers and miners from the East. The military chose to build Fort Massachusetts in 1852 to reduce the conflicts and to make it clear that this was now U.S. territory. 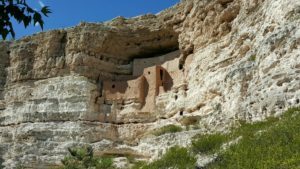 Built at the foot of Mount Blanca at an elevation of 8,000 feet, the fort only survived six years in this location before it was moved six miles south to Fort Garland. This fort and its action played an interesting role in the early settlement and development of the San Luis Valley and Southern Colorado. The fort was constructed mostly of wood and was surrounded by a wooden palisade wall. It was intended to house one company of infantry and one company of dragoons (horse-mounted soldiers). There were also some women and children at the fort. They were the families of the officers, or post laundresses. When the fort was built, it was a very wild and remote place. Today, it is not much different. 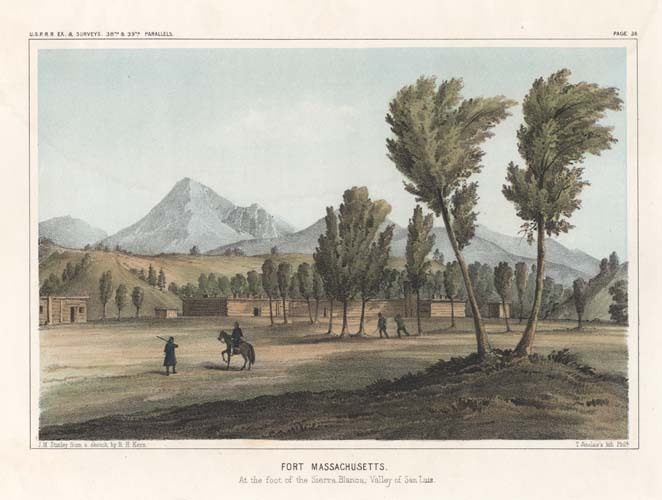 Only one major military action was fought by the soldiers of Fort Massachusetts and that was not at the fort itself. A band of Ute and Apache Indians had attached a trading post in Pueblo Colorado and was raiding throughout the area. In March of 1855 a force of about 500 men was assembled. These consisted of soldiers from Fort Massachusetts and Fort Union in New Mexico and a large number of volunteers. The famous frontiersman Kit Carson worked as their scout. 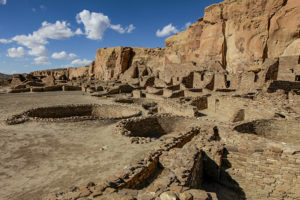 Over a period of several months they chased and fought with the Indians in the San Luis Valley and neighboring valleys. Eventually a peace was negotiated. Why is Fort Massachusetts Important? Even though it only lasted six years (1852-1858), it represents a very important time in U.S. history, between the War with Mexico and the Civil War. During this period, the Army was making a lot of changes. They were changing the design of forts, the kinds of uniforms, the kinds of military units, and the kinds of weapons. While all this was going on not very good records were kept. However, by looking at the archaeological record, we can learn a great deal about what it was like to be in a military outpost on the frontier. 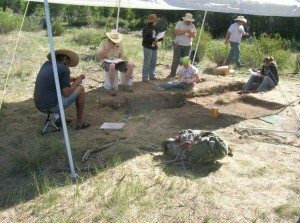 Adams State University has held an archaeological and historical field school at Fort Massachusetts since 2010. When it was started, they were not entirely sure where the exact boundary of the fort was. In recent years, however, the crews have been able to find the foundations of the outer walls, barracks, officers’ apartments, blockhouse, laundress quarters, sutler’s store, and the corrals. 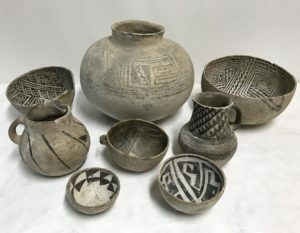 They also have recovered many artifacts including ammunition, military buttons, dishes, tin cans, bottles, pipes, and many of the things of daily life on the frontier. They are learning what daily life on the frontier was like. For example, few people today know that the army hired women to live at its forts and do laundry and mend clothes for the soldiers. Not much is known about them because few history books mention them. Their living quarters and many of the artifacts related to their work and daily activities are beginning to correct this. Fun Facts: The fort is now in Colorado, but at the time it was located within the Territory of New Mexico. Also, the site of Fort Garland – now a museum – used wood beams transferred from Fort Massachusetts in its original construction. Love it! Michigan has super history and I’m glad to see our state made the list!